Hariyama in game: 518 Who? Important notice! Pokemon Hariyama is a fictional character of humans. Hariyama's body consists mostly of muscle instead of fat. When its body tenses, its muscles become as hard as stone. It likes to match power with other big-bodied Pokémon, and can stomp the ground to build its own power. Trucks can be sent flying, telephone poles broken in two, and trains can even be stopped by its powerful arms. Its signature move is Smelling Salts, and Arm Thrust is a former signature move. It lives in mountainous areas. Hariyama first appeared in Brave the Wave. Brawly's Makuhita evolved into the Arm Thrust Pokémon while battling against Ash. Tyson used a Hariyama during the Ever Grande Conference which first appeared in Choose It or Lose It!. Greta used a Hariyama to battle against Ash in Wheel of Frontier. 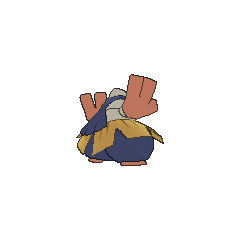 Greta's Hariyama defeated Ash's Grovyle, but it was defeated by Ash's Snorlax. In Pikachu's Island Adventure, a Hariyama assisted Meowth in kicking out a bunch of Wynaut and others from their island playground. 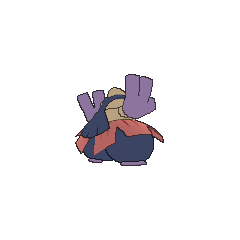 Along with Exploud, Hariyama used his powerful attacks to bully the others, but was easily tricked and eventually defeated by Mirror Coat. A Hariyama appeared in The Journalist from Another Region!. 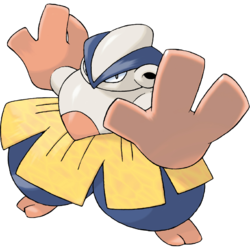 Island Kahuna Hala has a Hariyama which first appeared in SM009. A Hariyama appeared in the opening of Destiny Deoxys. A Hariyama appeared in Pasta La Vista! where it was battling Master Hamm's Hitmonlee in order to get some training. A Coordinator's Hariyama appeared in Another One Gabites the Dust! competing in the Chocovine Contest. 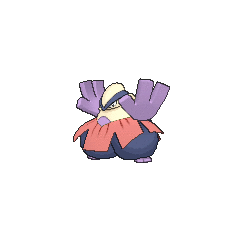 A Hariyama was used by one of the participants of Pokémon Ping Pong Tournament in To Thine Own Pokémon Be True! A Hariyama appeared in a flashback/fantasy in The Forest Champion!. Hariyama appears in Pokémon Adventures as the evolved form of Brawly's signature Pokémon. Despite the new-found power that it got from evolving during its Gym battle with Sapphire, it was unable to defeat Chic. 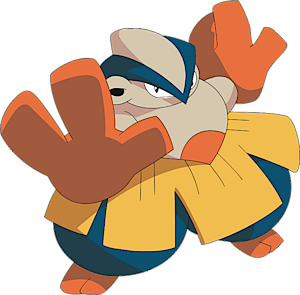 Hariyama is later used when Brawly is attacked by Blaise of Team Magma.